Liverpool midfielder James Milner has explained why the Reds have been able to carry on so well despite the departure of Philippe Coutinho to Barcelona in January. The Brazil international was a star player for LFC during his time at Anfield, linking up superbly with this season’s in-form front three of Mohamed Salah, Roberto Firmino and Sadio Mane. 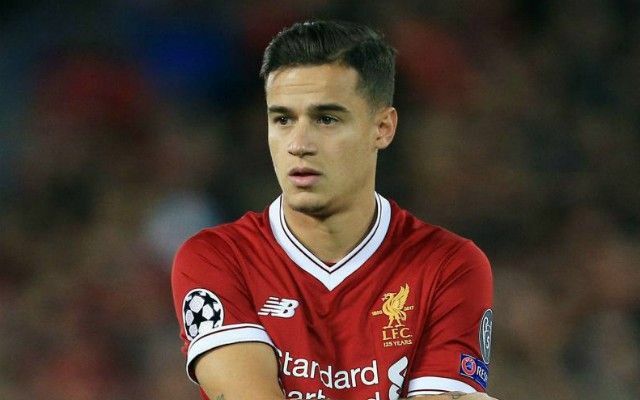 However, Liverpool looked to have been dealt a big blow when Coutinho left for Barca in the middle of the season, though as it turns out they’ve barely noticed he’s been gone. While having players of Coutinho’s calibre is always useful, Jurgen Klopp has still been able to rely on a superb attack of Salah, Firmino and Mane, who have led the club to this weekend’s Champions League final. As well as having that kind of class to rely upon, Milner believes the team spirit and togetherness at the club has also been key to moving on from Coutinho’s exit – something he feels many other teams would have struggled to do. ‘One of the beautiful things at Liverpool is the togetherness and you can see that with the way we play,’ the former England international told the Times. ‘We hang out together. No one’s sneaking off early. The way the manager has us playing, if you’re not together, and don’t want to go the extra yard for each other, it won’t work. ‘You take Phil Coutinho — or any very good player — out of most teams in January and they’d struggle but we could deal with it because of our togetherness and we have a lot of very good players.